Can I delete all imported reviews at once? Sometimes, you wanna delete or remove all imported reviews. From new update on early of November 2018, we add a new function that helps to bulk delete reviews. Delete customer reviews: only delete reviews written by your real customers. 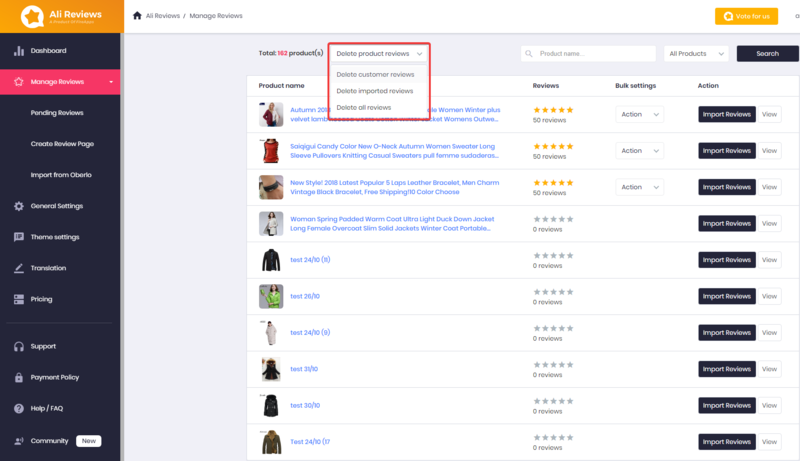 Delete imported reviews: only delete reviews which you import from AliExpress. Delete all reviews: delete both customers reviews and imported reviews. There is no reviews after you select this option. Hope this function is helpful for you!